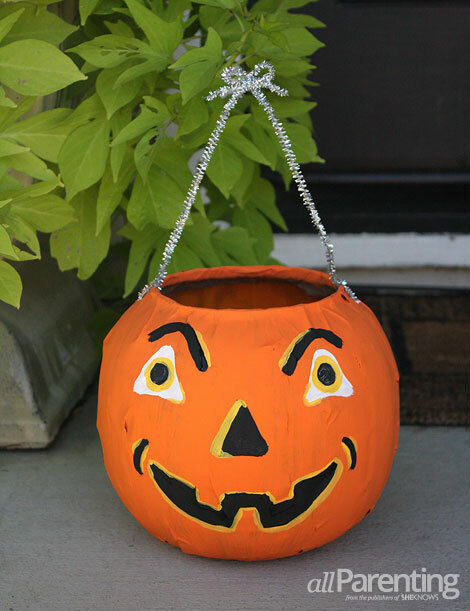 Using an inexpensive plastic pumpkin bucket, paper mache and some paint, you can make these darling vintage styled pumpkin decorations. 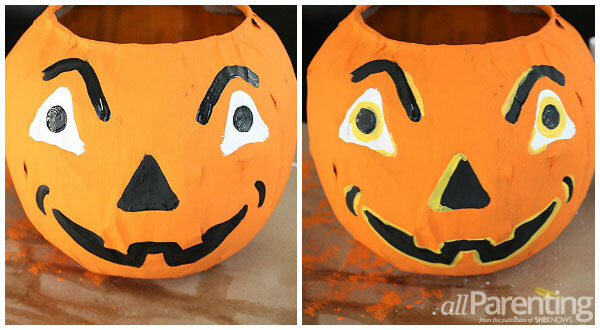 A throwback to the past, these pumpkins are sure to delight this Halloween season. 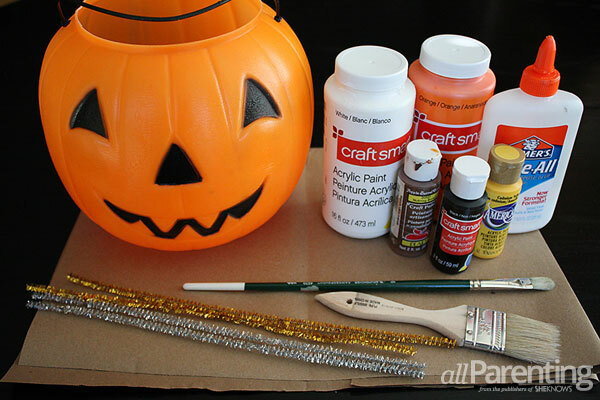 Begin by removing the plastic handle from your pumpkin. Next, cover each paper strip with Elmer's glue and place over the exterior of the plastic until it has been wrapped completely. 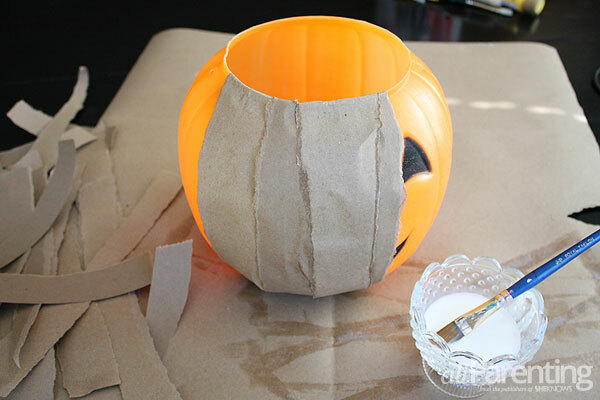 Make sure to fold the tops of the papers over the edge of the bucket and the bottoms over one another. Run your fingers over the indentations of the eyes, nose and mouth so they are slightly depressed. Allow to dry completely. 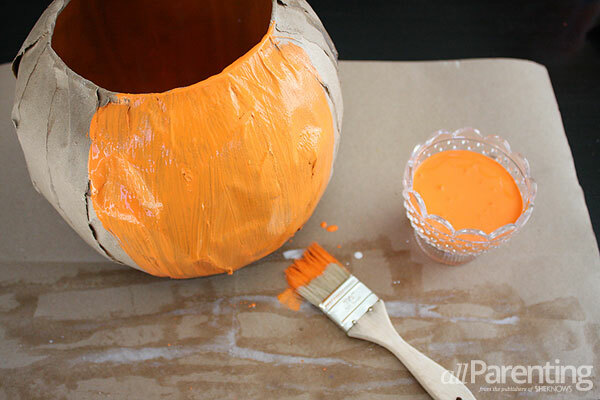 Once dried, paint the entire paper-covered bucket orange and allow to dry once more. Now it's time to add the face. Start by painting in the basic shapes with black and white. Next, add highlights with yellow paint. Allow paint to dry again. Poke holes through the paper mache where they were previously and thread a pipe cleaner through one hole and then the other. Tie into a bow. 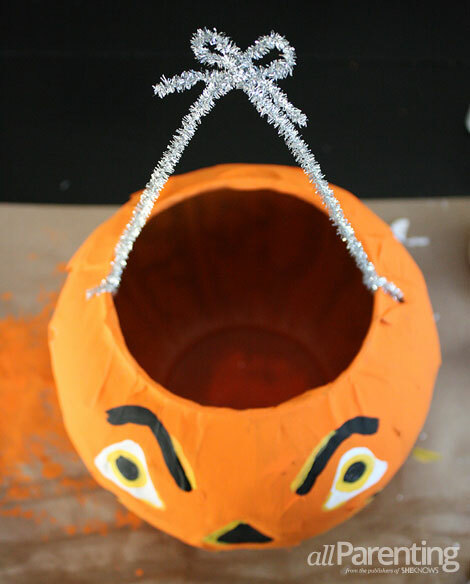 Your pumpkin is now ready for Halloween!